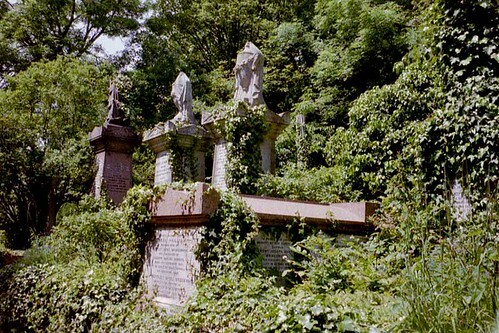 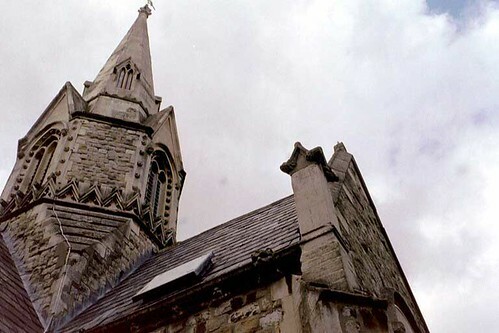 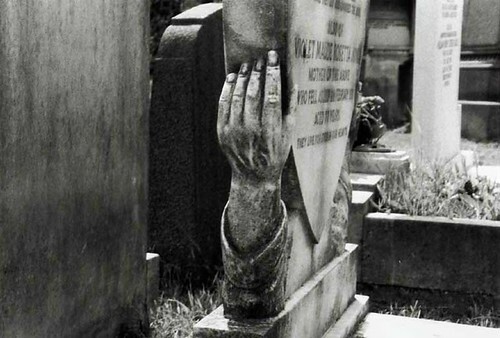 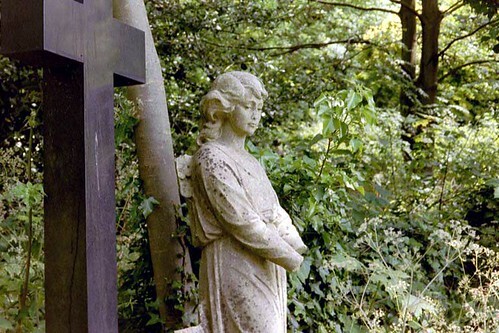 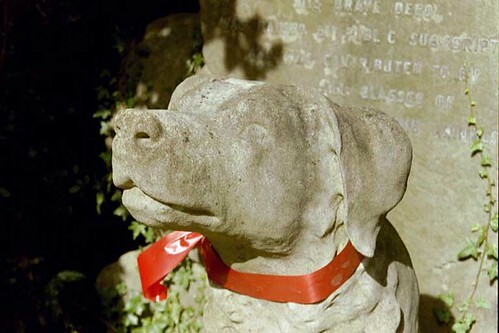 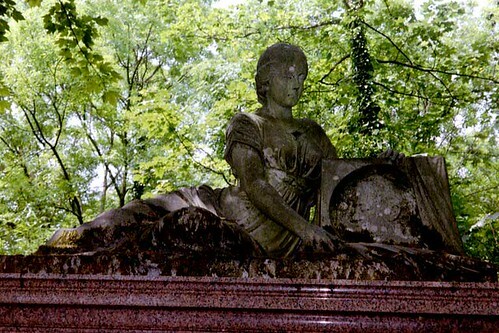 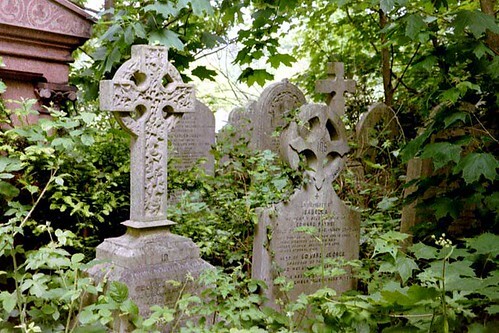 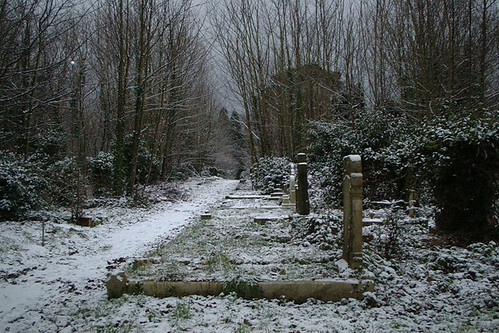 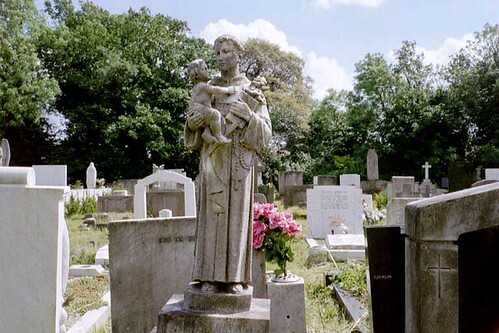 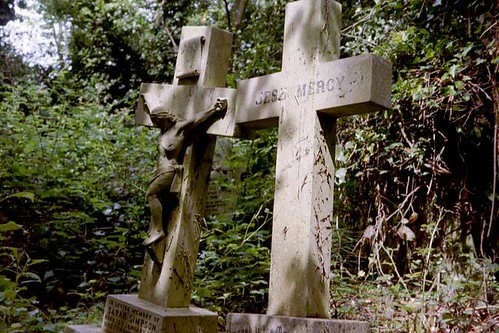 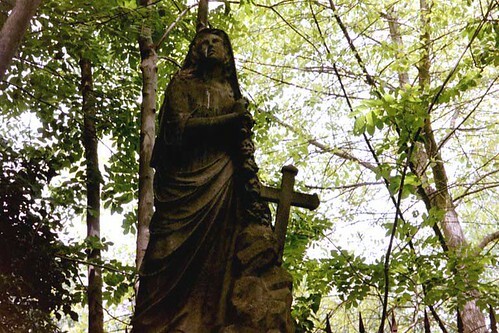 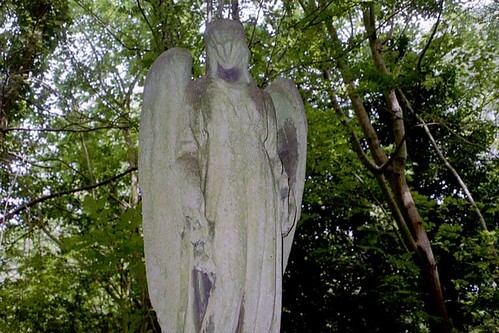 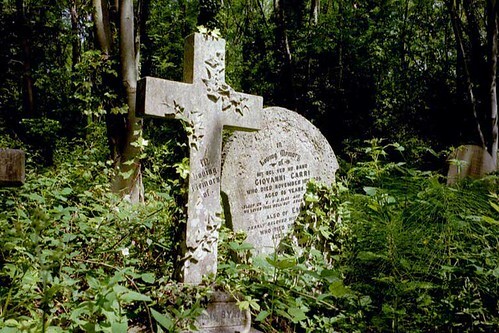 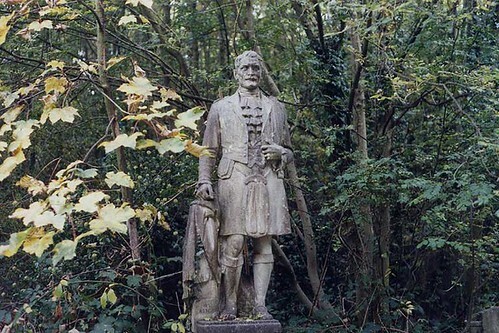 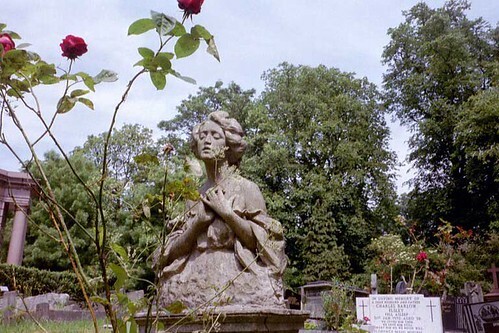 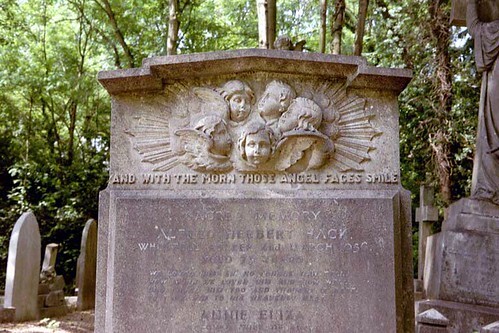 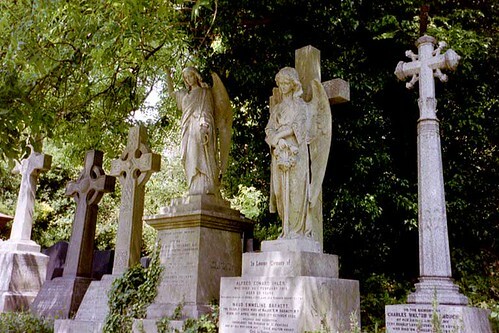 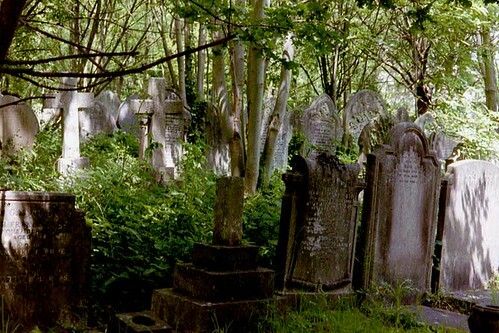 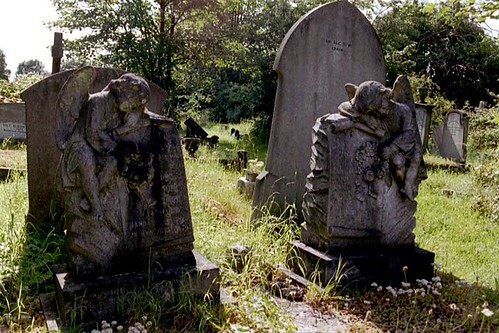 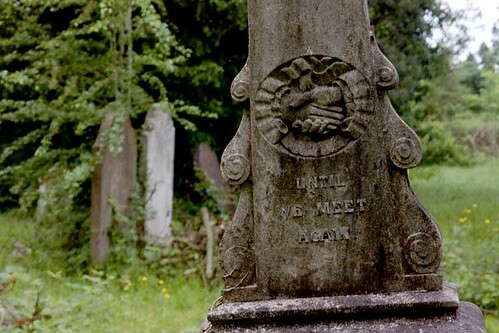 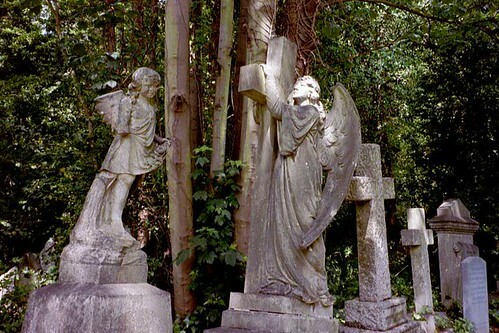 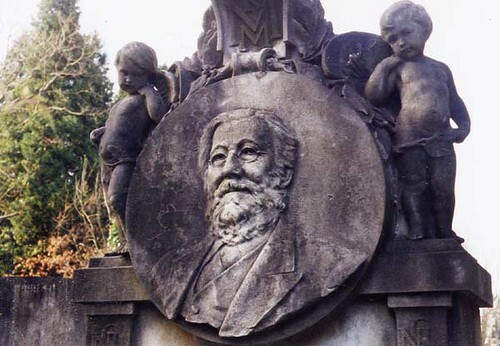 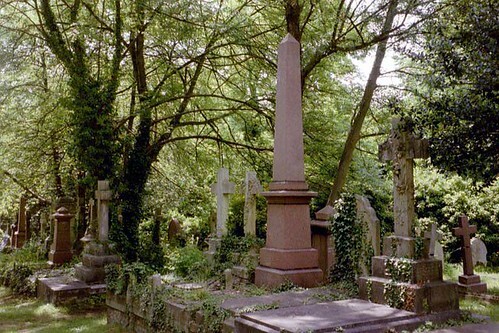 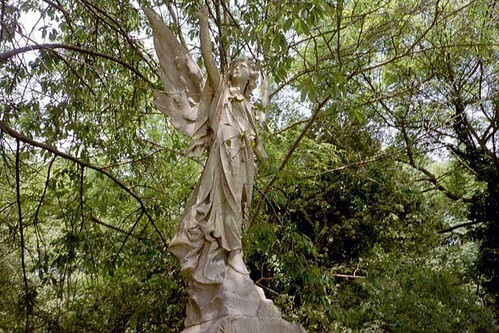 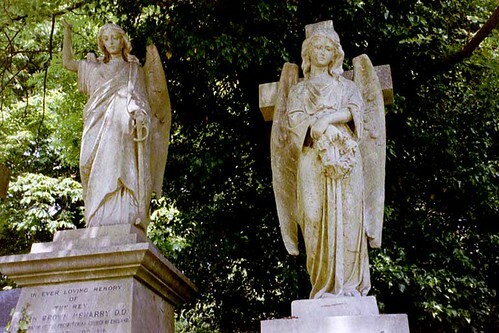 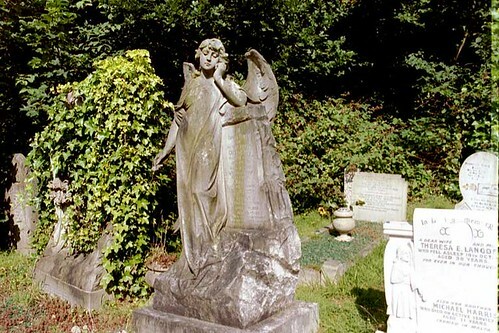 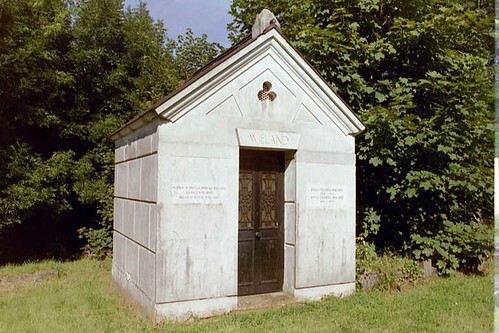 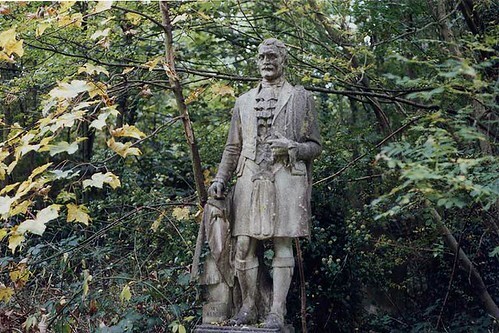 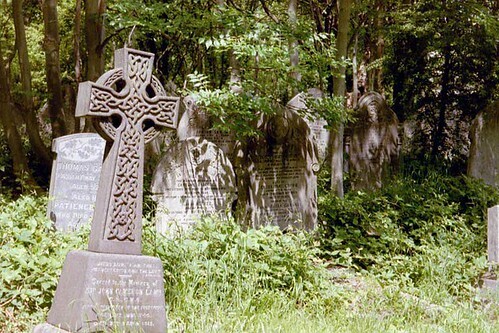 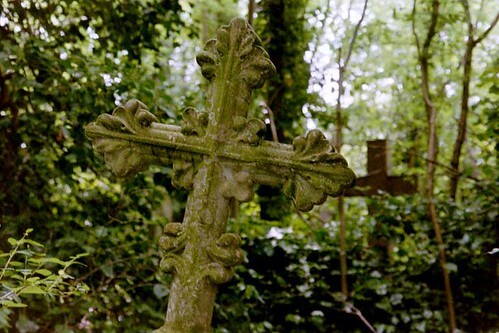 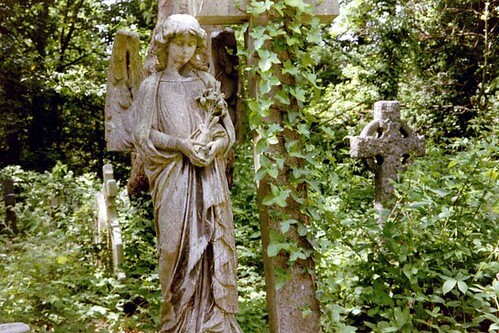 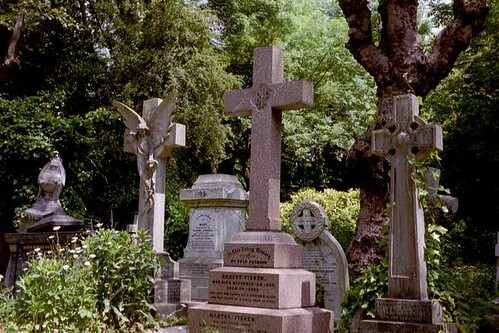 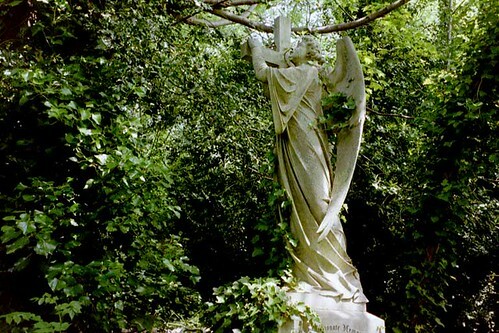 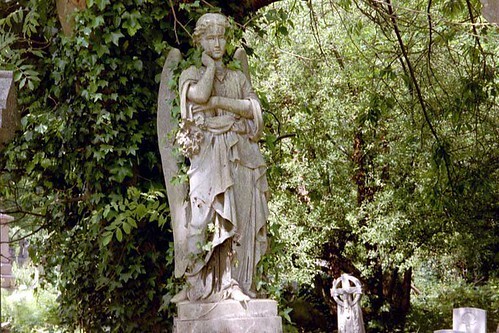 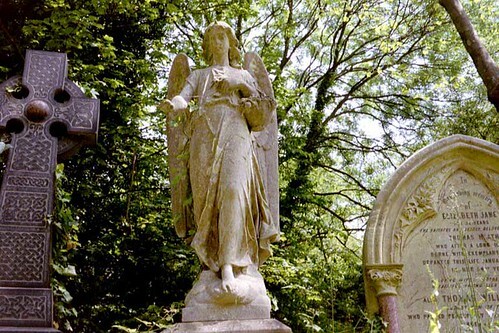 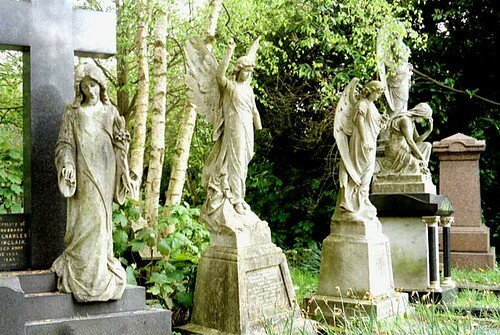 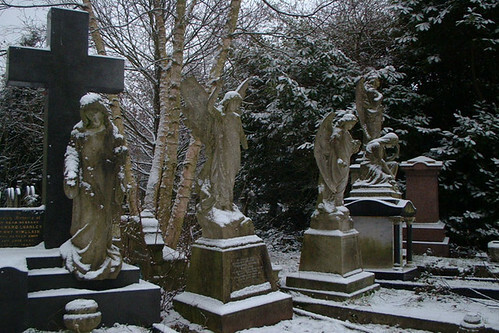 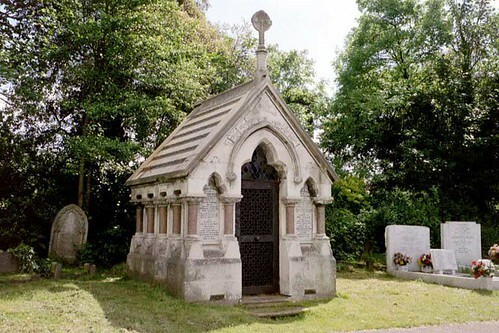 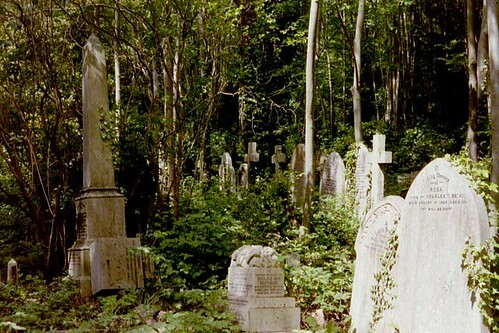 The eastern half of the Highgate Cemetery is the newer half, and visitors are free to wander unguided at will. 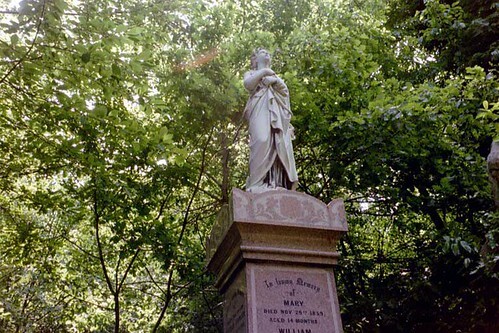 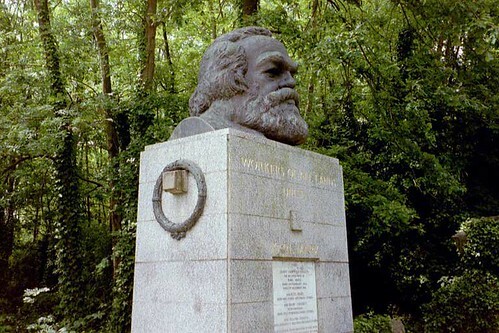 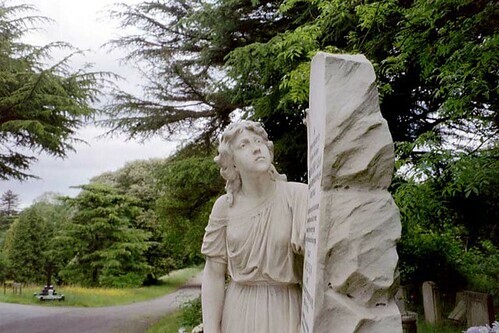 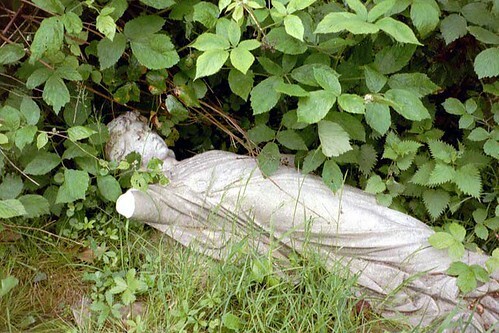 The giant statue of Karl Marx is here, but there are plenty of other beautiful late-Victorian monmuments to be seen, as well as the atmospherically overgrown section further down the hill. 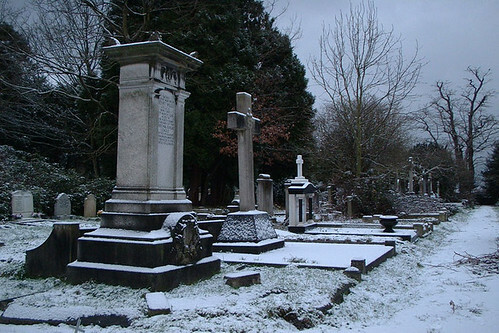 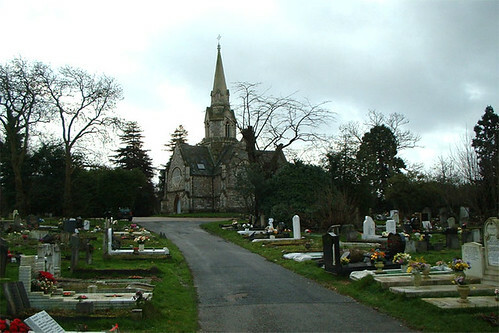 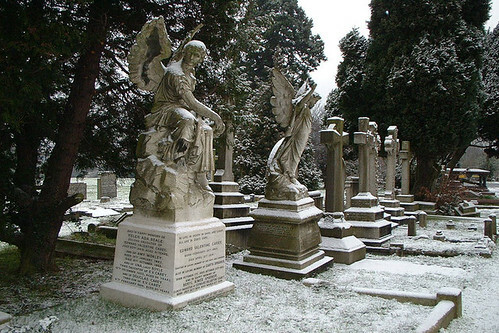 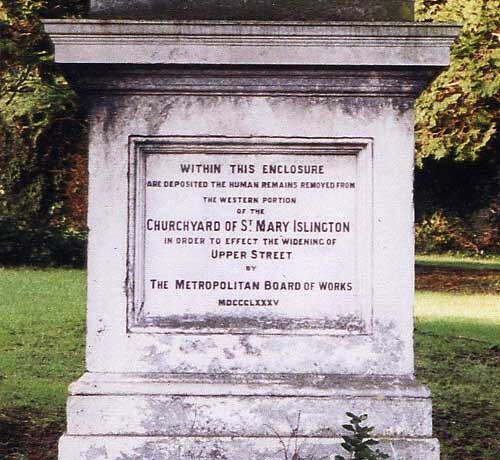 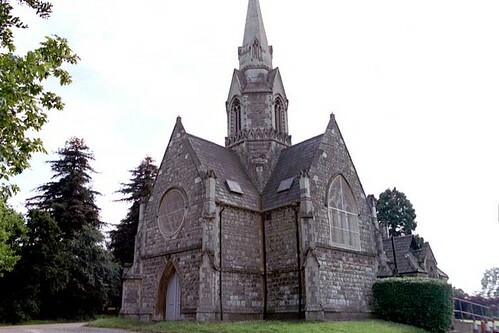 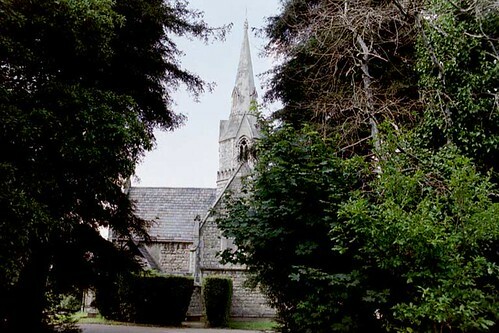 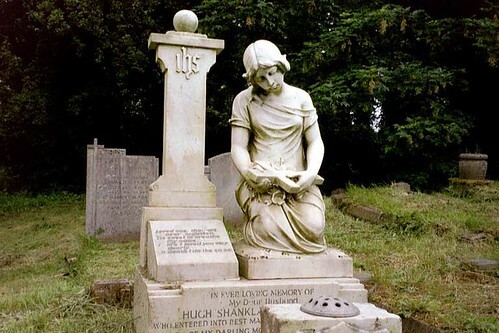 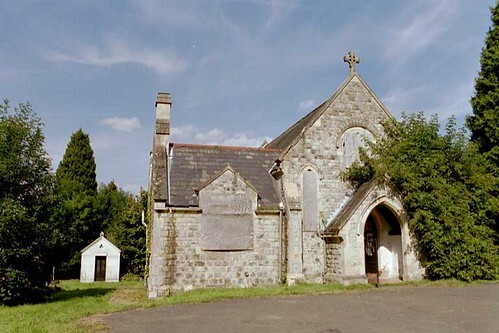 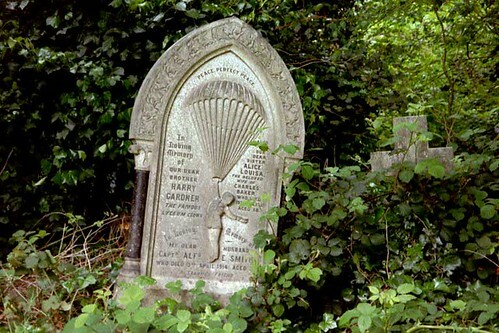 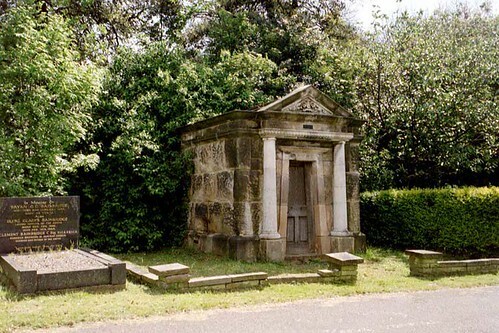 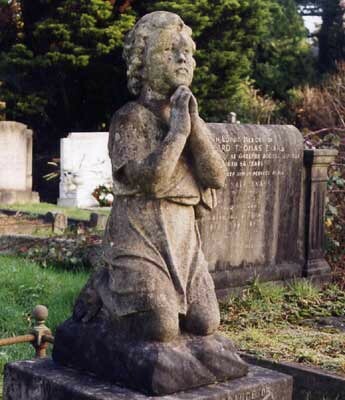 First opened in 1852, the cemetery in East Finchley founded by the St. Pancras Burial Board was the first publicly owned cemetery in London. 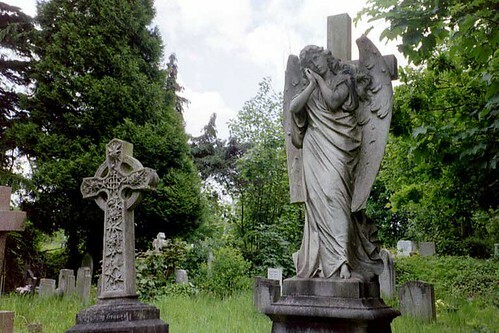 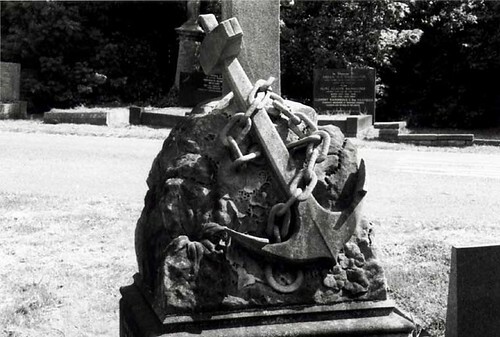 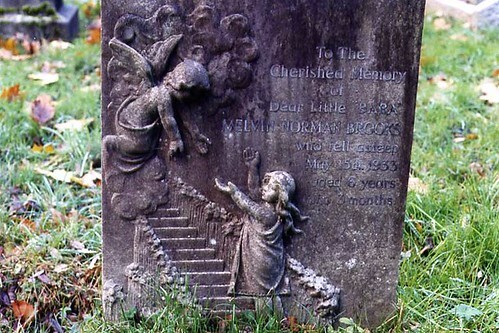 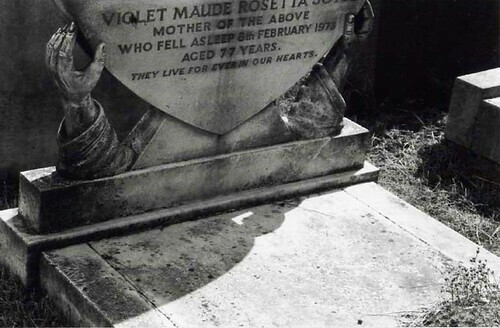 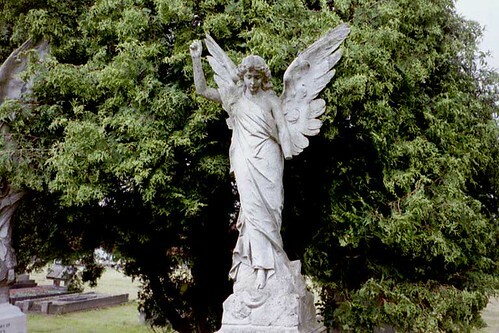 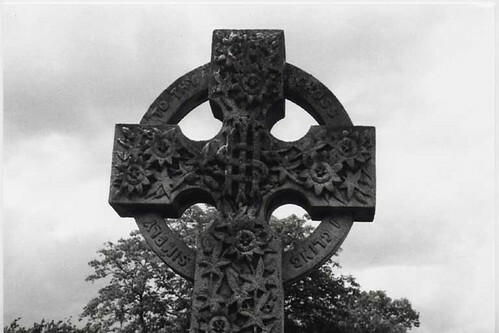 Extended to over 180 acres in 1877, it became and remains the largest cemetery in the capital. 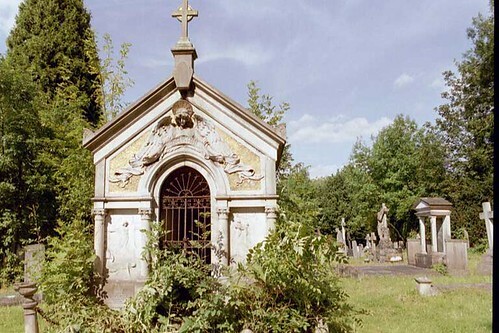 St. Pancras and Islington has something for everyone. 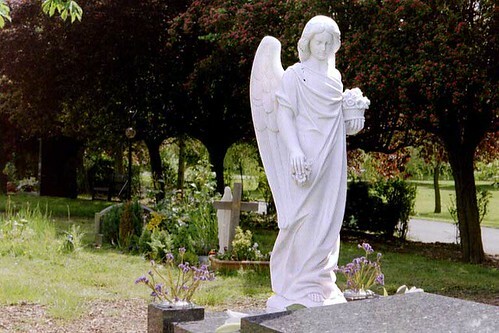 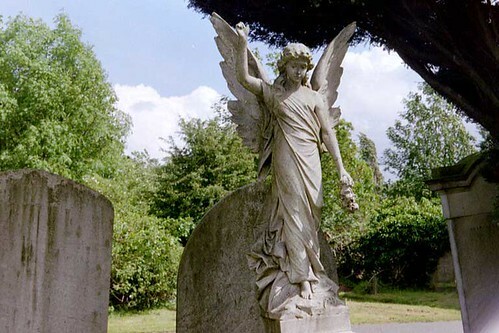 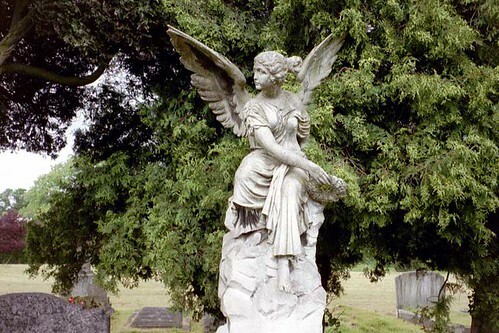 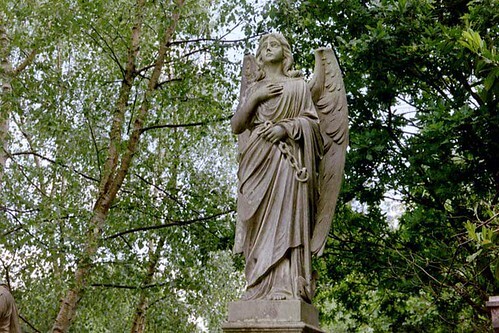 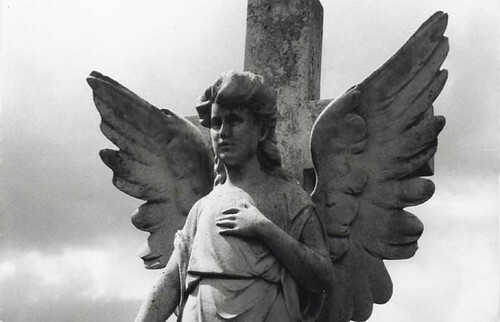 Enter the drive with its Council bedding plants, and you will meet a rather lovely Victorian cemetery: angels, columns and mausolea surround the St. Pancras Chapel with its beautiful 100 foot spire. 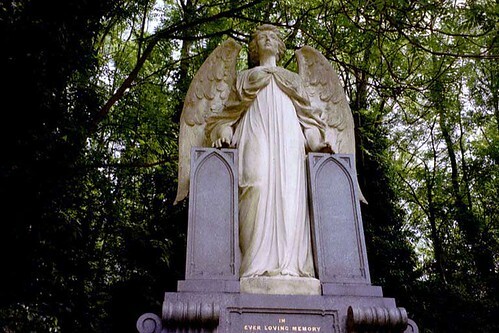 From the Chapel, head down Central Avenue to the Mond mausoleum. 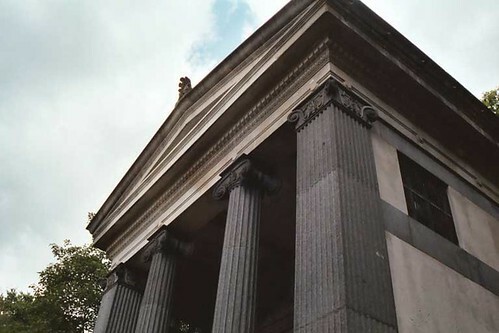 No photograph can do this temple to an industrial chemist justice: it is perhaps the most magnificent monument in any public cemetery in the city. 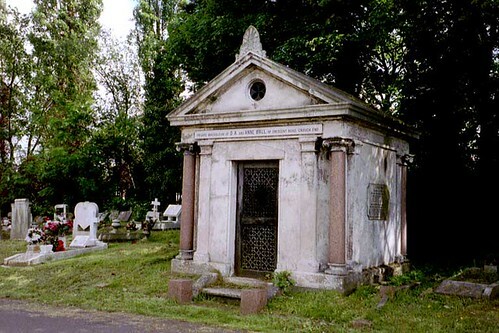 Sadly, further afield, things are not quite so magnificent. 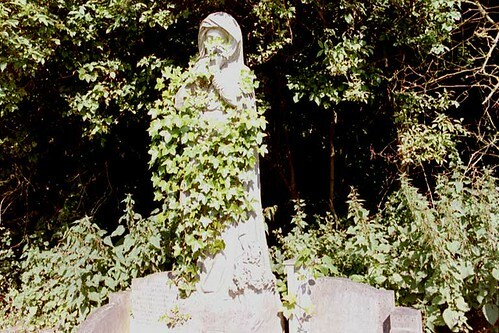 Though Camden Council's maintenance team are frequently to be seen cutting grass and chopping back the undergrowth, large sections of the less spectacular older stones are now almost entirely overgrown: rhododendrons and monkey puzzles as well as ivy and sycamore are running wild. 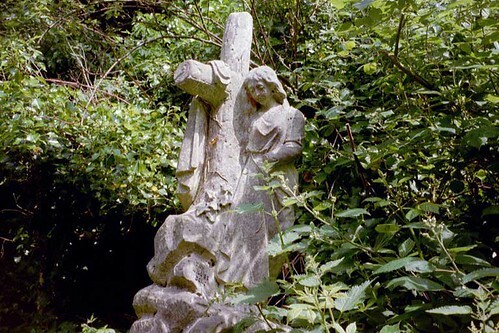 Non-management as a nature reserve is acceptable where there is nothing to be lost, but to the best of my knowledge, nothing has been done to preserve or record the memorials which are even now being lost forever. 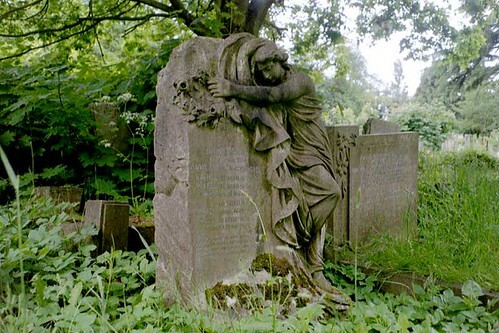 Yet just yards from this impenetrable jungle, neat rows of new grave slabs stand back to back, making room for the lawnmowers, and incredibly, imaginative and beautiful modern memorials are also being erected. 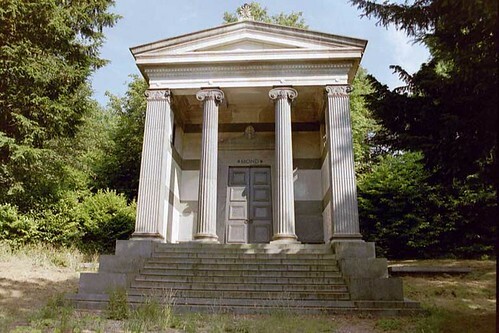 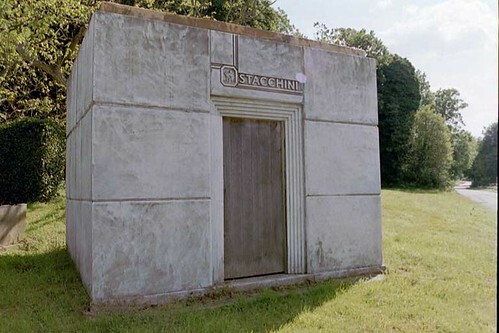 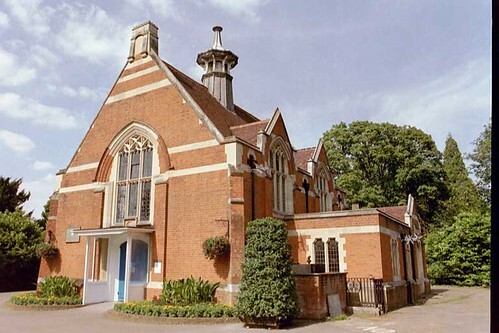 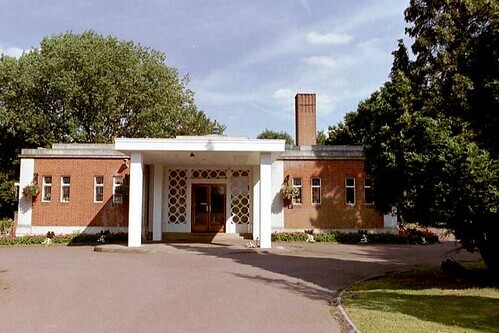 The less said about the typically ugly crematorium and its stench of rotting roses, the better: but at least it is in reasonably nice surroundings. 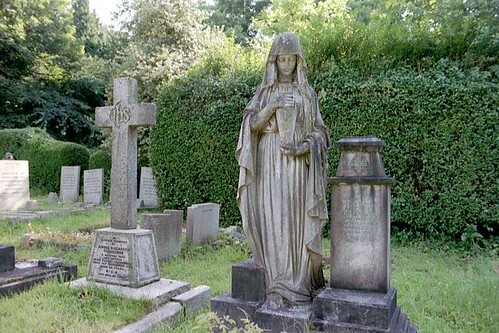 Nowhere else in London, I think, can the whole range of the last 150 years' memorial customs be so widely seen.